Starting in fall of 2017, students in the University of Rhode Island College of Nursing will be required to travel to Providence at least once a week for classes at the brand new Rhode Island Nursing Education Center. The $25 million, 133,000 square foot building occupies a renovated power station downtown through a partnership with Rhode Island College and Brown University. While the building will offer state of the art facilities, many students are concerned about the mandatory commute. “A move to Providence or a lengthy commute was not my intention for senior semester at URI,” second-semester junior Jackie Davenport said. 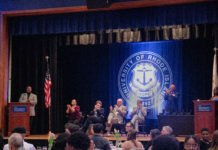 While grateful to study in the high-tech facility, Davenport said she came to URI to avoid the city experience, and expressed concerns over her personal safety in the city. She also said she is worried that living in the city would be “a source of anxiety” for students unfamiliar with the environment. Other students like Molly Demilla said that she was confused that the administration made it seem like there would be an option to take courses at the NEC. “Had the students been told ahead of time that all upperclassmen would be taking classes there, I don’t think the uproar would have been as extreme,” Demilla said. According to College of Nursing Dean Patricia Wolfe, the Center will host classes for undergraduate students starting second semester junior year. Wolfe wants to reiterate that no student will take classes in Providence until the fall of 2017. Students will only take about one class per week in the NEC, in addition to the clinicals they would already be taking in the city. This semester, Wolfe issued an email to all College of Nursing students to talk about “ongoing initiatives…and the progress of the building,” she said. She has heard the students’ concerns regarding transportation. Wolfe said the school is working with the Rhode Island Public Transportation Authority to “arrange an enhanced 66 bus system” with 12 additional stops along the route from URI to Kennedy Plaza in Providence. She said the College of Nursing conducted a survey asking students about their transportation preferences in 2015 with the NEC courses in mind. Only 22 percent of students said they would be “unlikely to utilize public transportation” as an option to get them from campus to Providence. The rest were “possibly” or “very likely” to utilize public transit. The survey also showed that most students’ preferred mode of transportation was driving on their own or carpooling with another student. 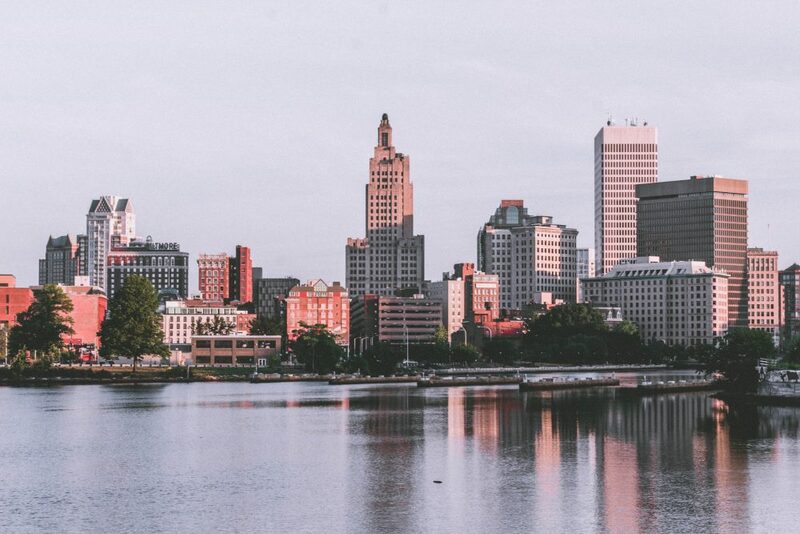 Additionally, Davenport was disappointed that a proposed housing project for downtown Providence would not be ready by the time the NEC is slated to open. However, this housing project is not affiliated with URI, RIC or Brown, according to Linda Acciardo, director of communications and marketing. “There is nothing like this in the world,” Wolfe said. She hopes to start offering tours for students and faculty in the spring. The building itself is home to 10 standard patient exam rooms, like a primary care physician’s office, Wolfe said. There are also several skills labs between three floors that can be tailored to simulate different environments, like an operating room, maternity ward, or doctors’ offices. The labs feature high tech mannequins that respond like real patients. Students can use them to practice giving injections and taking blood pressure. These different labs will help students practice and refine their skills before they practice on real people during clinicals. Wolfe said faculty will be spread between both campuses. She encourages students who have concerns to reach out to the administration so that they can address student issues accordingly.